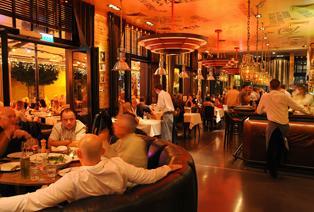 Budapest is the capital city of restaurants and gastronomy. This, of course, has not always been so. Twenty years ago, one had to make great efforts to be able to find restaurants which could be regarded as acceptable at most. Besides, culinary pleasures were strictly limited to the Hungarian cuisine, since the realm of international flavours was completely unknown in Hungary. The change of regime around 1990, however, brought about the quickest and most comprehensive transformation just in Hungary’s catering trade among all sectors, and even within catering especially in the sphere of restaurants. Today, excellent restaurants are proliferating, vying with each other in quality, and all branches of the international gastronomy are well represented in Budapest, ranging from the Italian cuisine to the Japanese and the Thai cooking. 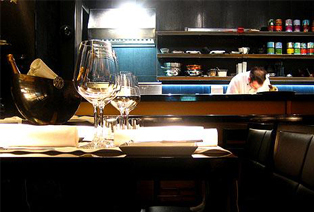 Impressive development in this sector can be exemplified by the restaurant Onyx, which has recently been awarded Michelin stars, and by the Costes, the first restaurant in Hungary to obtain Michelin stars. Advancement of the Hungarian gastronomy can best be measured by the response of foreign tourists. Gastronomical tourism constitutes one of the most dynamically growing segments, and a significant portion of the foreign tourists visiting Hungary are regularly returning guests. One or two decades ago, it was practically only the markedly low prices that had attracted people, and Budapest’s restaurants had typically been frequented by a clientele almost entirely made up by tourists arriving from Germany, East-Germany and Austria. These days, however, Budapest is being visited by tourists from all corners of the world, specifically coming in search of a gastronomical experience – and, as I have already mentioned, an ever growing part of these guests are returning on a regular basis. Deservedly renowned Hungarian vegetables, meats and other primary materials, a high-standard catering trade education and training system, and keen competition within the sector are all positive factors which favour and bring benefits to those clients who are exacting in their gastronomical expectations and who are not just frequenting restaurants with the aim of getting their lunchtime menu. Moreover, if we also consider the fact that it is only the quality standard and not the price level that has been adjusted to Western European norms, we can easily understand why Budapest has become the capital city of gastronomy and of excellent restaurants. 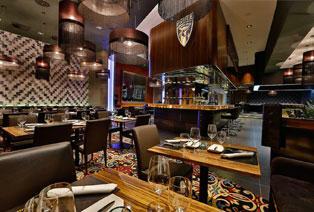 Prime Steakhouse is the home of the most delicate Filet Mignons, Tomahawk, Porterhouse and T-Bone steaks in Budapest. And much more! At this elegant Budapest restaurant, an exceptionally culinary experience is guaranteed – enjoy a high-quality dish with a bottle of sophisticated wine. 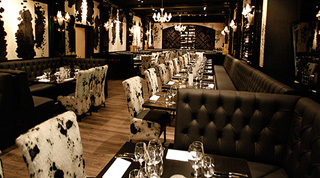 Prime Steakhouse is a place where up-to-date gastronomy techniques meet friendly service. Spend a remarkable lunch or dinner at Steakhouse and try not to come back for a second turn. 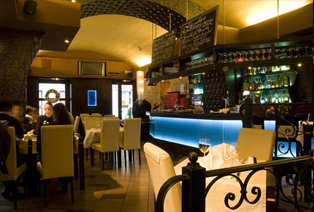 Tom George Italiano is an engaging Budapest restaurant with a touch of Italian culture and cousine. Ideally located and interiorly designed, this venue is suitable for business lunches, friendly meetups and family dinners – or, be bold and have an uplifting meal on your own. While pizza and pasta are a must on the menu of an Italian restaurant, your appetite can be fed with wondrous fish and grilled meats as well. 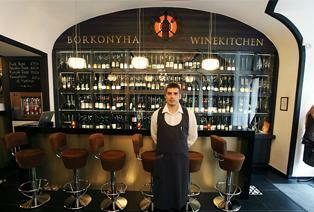 Borkonyha (’Winekitchen’) is one of the very few Michelin starred restaurants in Central-Europe. In spite of being a down-to-earth bistro venue, the quality of the meals and the service enchant guests on a daily basis – if you decide on Winekitchen, early booking is highly recommended. 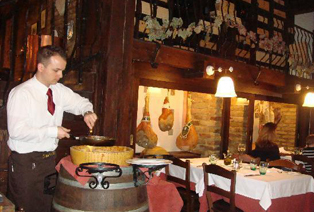 Here, gastrotourists are to face an exceptional culinary experience, combined with a fine selection of delicate wines. Looking for a modern Italian restaurant in Budapest? We put an emphasis on originality and authenticity when preparing our most famous dishes: pasta, grilled meat or pizza. The winelist in Pomo D’Oro is just as rich as the fantasy of the master chef. 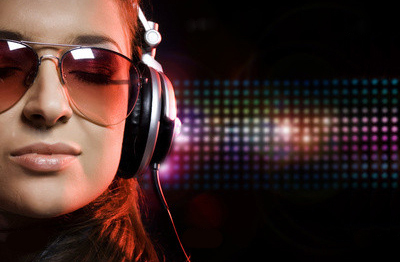 Apart from its cuisine, Pomo D’Oro offers delight to music-lovers as well. 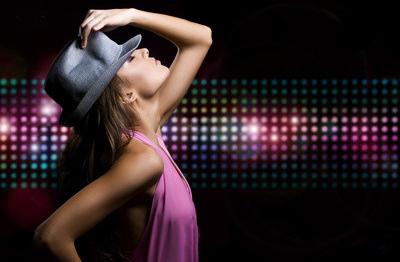 Every Thursday, Friday and Saturday the background music changes to live performances. Be our guest and join this adventure through the faces and tastes of Italian cuisine! Promoting the idea of sushi not being a luxury any more, this Budapest restaurant offers clean, fresh food with prices within a wide range. Japanika is given an exceptional Asian menu – from sushi to Thai soup, this is your place for a remarkable gastro experience. 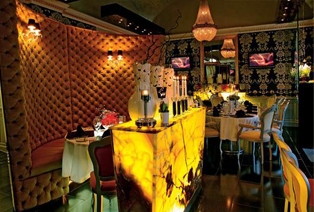 The interior is characterized as a fabulous vibe with a touch of contemporary Asian décor. 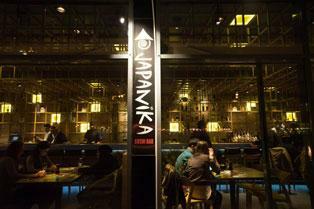 Perfectly located Japanika is definitely a new pearl in the culinary ocean Budapest offers. Don’t miss it! Budaside restaurant with lots of spirit: Déryné is a lively brunch and dinner bistro on the Buda side, but not far from the city centre. Posh environment outside and inside, friendly attentive service and a wide range of breakfasts – Déryné is a culinary gem with prime European dishes. Don’t forget to taste their bread – this Budapest restaurant is also popular thanks to the unique production method of baked goods. Okay, first of all: this exclusive Budapest restaurant is one of the two Michelin-starred venues in the whole country. So expecting and receiving an outstanding culinary experience is no surprise. Onyx builds upon Hungarian dishes made with modern technologies, but if you are keen on international kitchen, you won’t be disappointed either. Super-fine dining for 3-6 hours, attentive service: Onyx will pamper your senses in a way you probably never experienced. Don’t be confused, as this Babel is different from the historic one. The Budapest restaurant concentrates mainly on Hungarian cuisine and creates brave combinations from unexpected ingredients. 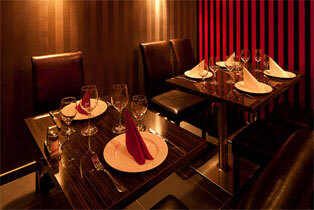 It is a definition of fashionable fine dining and offers degustation menu as well. 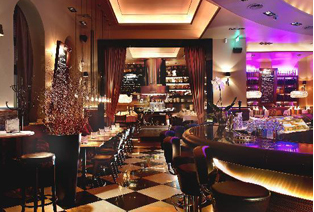 A fascinating, contemporary interior has been added to the Babel experience to complete your dinner memories in Budapest. An assortment of 150 wines are waiting for you – oh, and one of the best sommeliers of Budapest as well! Lonely and hungry? Came to Budapest with a bunch of guys, looking for good female company? You came to the right place. 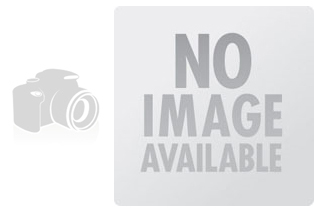 P2 is a unique restaurant – and much more: it’s an irresistible form of adult entertainment. Master chefs and charming girls will be at your service to feed your appetite. 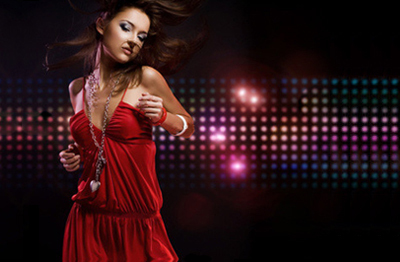 Don’t be shy: P2 is discreet and safe night club with intelligent dancers. Take advantage of our free transfer service to entry at no expense! A genuine Argentinean steakhouse in the heart of downtown. In this Budapest restaurant, stunning South-American decorations are combined with contemporary European interior trends. Taste their steak specialties from various kettles – Kobe and Wagyu cattle for example are the most valuable steaks of the world. Oh! And don’t forget to ask for wine recommendations – La Pampa has an exceptional wine list as well so that a harmonious culinary experience is guaranteed.